Seeking employment in today’s job market is an unwieldy beast to handle. There are so many ways to do it: platforms, apps, websites, social media, recruitment agencies, various online publications and, of course, word of mouth to name but a few. Keeping track of everything is a daunting task, so how are you supposed to identify the right place to focus all your energy? One of the most compelling reasons to go to a recruitment agency is because you get someone to champion you. A potential employer may be drowning in hundreds of CVs from their HR department, their own efforts, or any number of sources. Or maybe they’re just really busy. You need to get your voice heard. A recruitment agency can do that for you. At PA Business Support, we make sure to listen carefully to you and understand what you want. Not all agencies do the same of course; as your recruiter starts passing vacancies to you, observe whether they actually listen to your feedback and make changes accordingly. Be wary of those that just throw any old role at you! Having said that, it’s up to you to be specific about what you want. Think long term; career development is more important than a job. At PA Business Support, we build relationships with candidates that last throughout their career, and those candidates come back to us time after time for each new move up the ladder. So, a good recruiter will be prepared to listen to your ambitions and advise on what the best ‘next step’ will be, based on their professional knowledge and experience. Ultimately, good recruitment agencies are looking for candidates who will not just be able to ‘do the job’, but will also fit with a client’s business goals and company culture as well. 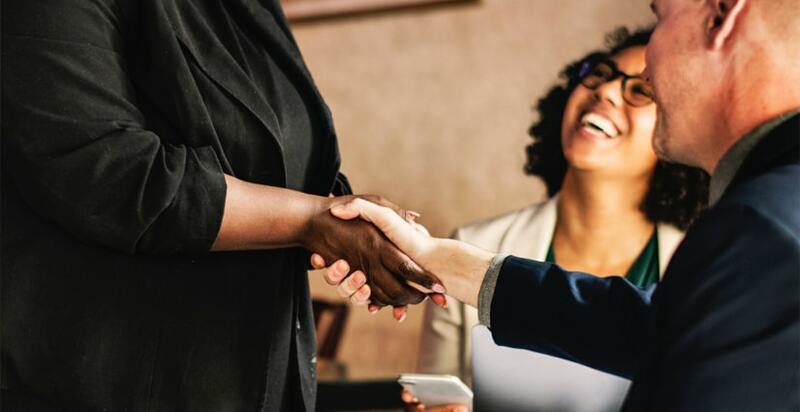 Whether you’re a client or a candidate, working with a recruitment agency requires a lot of trust, good communication and rapport (Not sure what that means? Check out our blog article here). It’s no different than a personal relationship, and, when handled right, that relationship can be long and prosperous. So, if a recruiter has clients that go back years, and regularly fills positions with them, you can be pretty sure that those clients know them very well and trust their judgement. That means you’ll have a real advantage when it comes to landing the job. And it’s why you should always try and find from your recruiter as much about the potential employer as possible. You’ll know pretty quickly if they’ve just picked up the vacancy online. Asking for advice is a very powerful door opener and can be quite revealing. It tells the recruiter two things: that you value their professional opinion, and that you will listen to what they tell you to do. This makes you a much more attractive prospect and a good recruiter will pick up on this. It also gives you a chance to assess how interested they are in you – if their response is lacklustre, it probably means they either don’t have much expertise or they’re simply too busy to give you the attention you need. Remember, you’re a candidate but they are representing you – in the end, it’s a partnership, so a show of trust and willingness to help goes both ways. So there you have it – there’s no hard and fast rule, but these are some key things that tell you the recruitment agency you’re talking to is a cut above the rest and knows what they’re doing. Of course, always do your research first and check their website for what sectors they specialise in and what clients they work with (keep an eye out for testimonials). But from there, it really is about feeling comfortable, ‘clicking’ with the person you’re speaking to, and watching out for the four points above. If you’re currently job seeking, or interested in a new role, and want to get some advice on your next career move, then drop Sophie and Sabina a line on 020 3621 8076 or email us here.